Beauty Under 10 | Beauty should only take 10 minutes Check it out: A Liebster Award! Check it out: A Liebster Award! Check it out! I was nominated for a Liebster Award by the very talented and creative Nicole, from The Lady Prefers To Save! 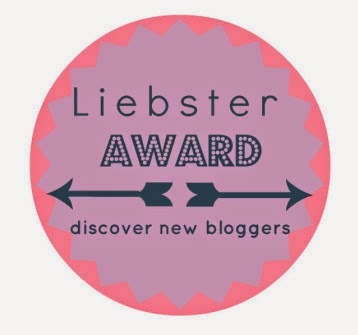 A Liebster is an award for up and coming bloggers with less than 500 followers that someone believes deserves recognition. I’m only been blogging a short time and I’m honored Nicole has nominated me! ⋆ I've always had an interest in hair and makeup. I even had a mannequin head attached to my dresser when I was 9 or 10 years old. ⋆ I lived in Banff, AB, Canada for a year. The mountains are so beautiful! * I went on a Caribbean Cruise for my honeymoon. Oasis of the Seas. I've always enjoyed writing and like giving ideas and tips on hair and beauty. People would ask me how I did my hair or ask how I apply my eye shadow. 2) What is the strangest thing / place you have ever woken up? 3) What celebrity do you admire most, and why? I don't really have that celebrity that I admire. I mostly admire "real" people like my mother. 4) What is one of your major pet-peeves? People who are Debbie-Downers and are negative or complain all the time. I think you should enjoy life and be grateful for what you have. 5) You’re only allowed to eat one food indefinitely, what would it be? 6) Are you a cat or dog person? 7) Do you prefer dresses or skirts, and why? Skirts because I can wear a different shirt to change up the style. 8) What is your favorite post you've ever written? I guess it would be my monthly favorites posts. 9) How did you pick your blog’s name? My sister is the inspiration. We were chatting one day about how long we spend on our hair and makeup to go out. We were talking about how we used to take hours to get ready but now it's the quicker the better. She said " Beauty should be under 10 minutes." And the bells rang in my head... Beauty under 10. 10) What is your favorite poem? 11) Knowing what you know now, what is one thing you would have done differently in your 20′s? 2) What is the hair product you can't live without? 3) Who do you admire most, and why? 5) You’re only allowed to wear one piece of makeup indefinitely, what would it be? 7) Do you prefer lipstick or lip gloss, and why? 10) What is your favorite recipe to make? 11) What is the one piece of advice would you give your teenage self? There we have it! Can’t wait to see your answers! Here’s to you!